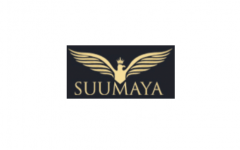 Business description - Suumaya Lifestyle is engaged in the manufacturing of designer wear of women like kurtis, ethnic tops, salwar suits etc. The company markets products under the brand name “ekka”, “ira” and “tag 9”. Suumaya Lifestyle serves its customers through a range of channels such as retail and wholesale. It has its own designer who develops new styles, fits, finishes to meet the latest fashion trends. The company’s core competency lies in its deep understanding of customers’ buying preferences and behavior across the Indian market. Suumaya Lifestyle IPO allotment status is now available on Bigshare Services' website. Click on this link to get allotment status.